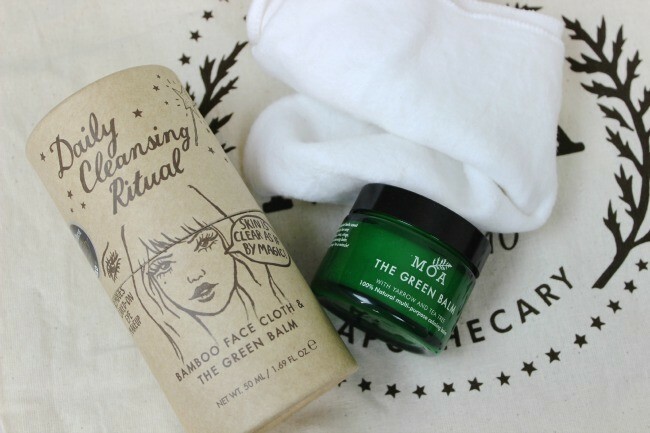 Magic Organic Apothecary’s Daily Cleansing Ritual is a magical little set that includes a full-size pot of The Green Balm and a super soft, anti-bacterial Bamboo Face Cloth. The Green Balm is the Magic Organic Apothecary’s original product and is enhanced with the herb, yarrow, which is said to have lots of healing and reparative properties. 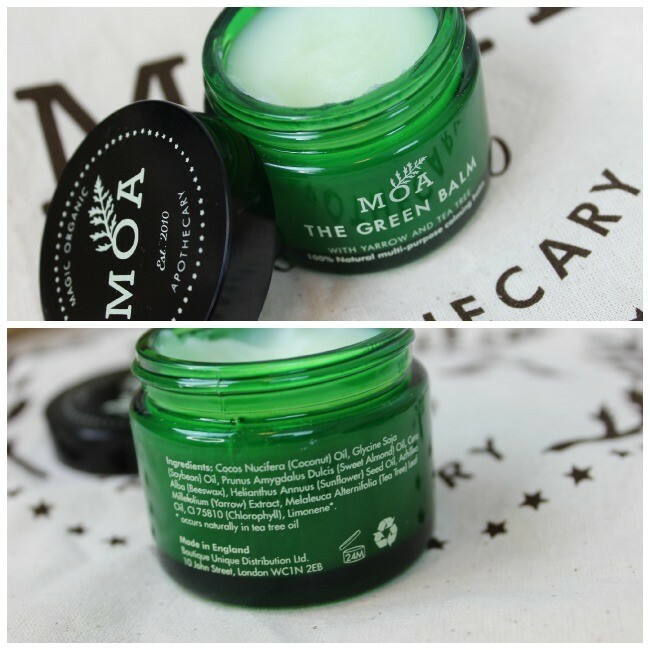 I’m super impressed with the ingredient list – along with the healing yarrow, The Green Balm is mainly composed of essential oils that are all natural and have tons of benefits for the skin. It’s an multi-purpose product that can be used on anything from dry skin to stretch marks, but one of it’s most amazing uses is as a makeup remover! At the end of the day, I take some of The Green Balm and rub it between my finger tips to warm it up. After just a few seconds, it turns into a oil, which makes it super easy to apply onto my face. I gently rub my eye area and – like magic – my eye makeup seems to just melt off. After my eye makeup is gone, I’ll usually go back in and rub the rest of my face. I love this step because it’s sort of a two-in-one: I’m getting all of my face makeup removed, while giving myself a mini facial massage 🙂 At this point, I’ll take the Bamboo Face Cloth from the Daily Cleansing Ritual Set and run it under hot water then press it into my face. It seriously feels like a spa treatment! The anti-bacterial Bamboo Face Cloth helps to steam my face, dissolve excess impurities in the skin, unclog pores, and lock in the amazing properties of all those essential oils. There’s nothing like a deep cleanse at the end of the day – especially with the Magic Organic Apothecary Daily Cleansing Ritual! If I’m really feeling like a good pamper session, some nights I’ll run a hot bath after removing my makeup. 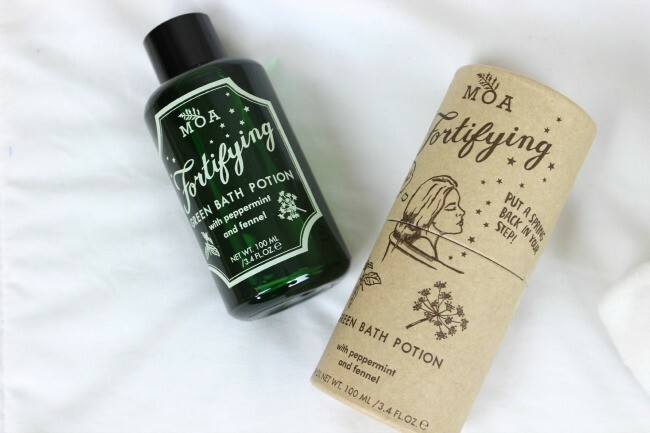 The Fortifying Green Bath Potion is just the thing I’ve been turing to when I want a super luxurious bath time experience. The Fortifying Green Bath Potion is an herbal bath oil infused with a skin-loving blend of essential oils as well as the same healing yarrow extract that is in The Green Balm. It has a lovely peppermint scent that really seems to clear my mind and send my body into complete relaxation-mode. It only takes about 2-3 capfuls of the Fortifying Green Bath Potion to turn my bath into a revitalizing oasis of tranquility – which is often necessary during a long, tiring, Winter day! I’d definitely recommend the Magic Organic Apothecary Daily Cleansing Ritual and Fortifying Bath Potion to anyone who loves to pamper themselves and take some time to relax and recuperate. (Which is basically all of us, right ladies?) 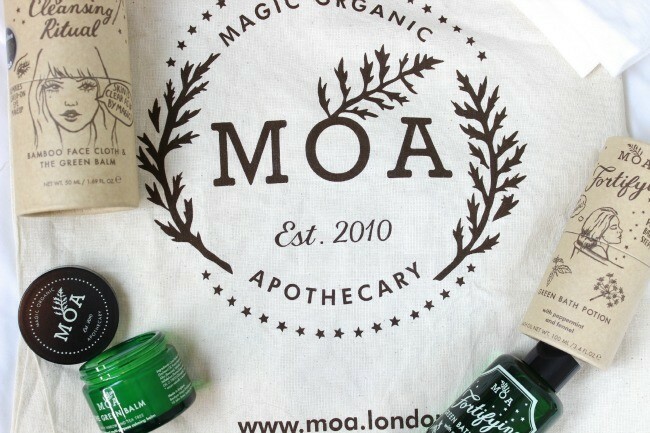 As you can tell, I’m a huge fan of both of these cruelty-free products from Magic Organic Apothecary. Whether I’m doing a deep facial cleanse or just wanting some time to de-stress, both the Daily Cleansing Ritual and the Fortifying Green Bath Potion seem to really work – like magic! 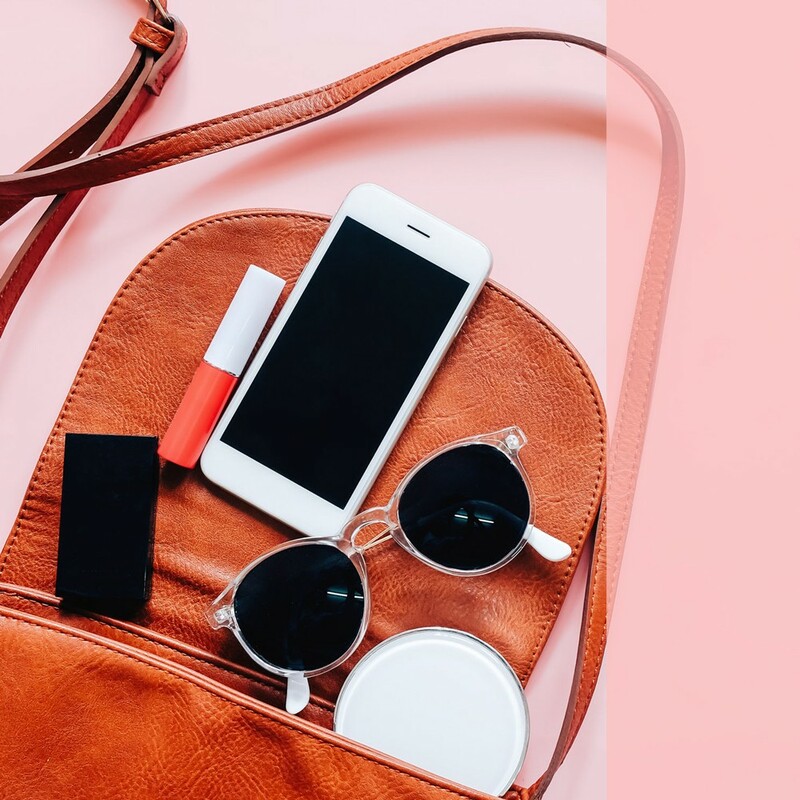 « How Do I Find Out if a Brand is Cruelty Free?